Such an institution, which offered a fully-taxpayer-supported rigorous higher education, was part of a host of mid-19th-century reforms and municipal initiatives that helped New York claim its place as the preeminent city in the United States and marked it as a modern metropolis. For example, the Croton Aqueduct began bringing clean water to New Yorkers in 1842, the modern police force was established in 1846, and the New York Academy of Medicine was founded in 1847. At the same time, New York had emerged as the largest seaport on the East Coast and was home to 450,000 people. 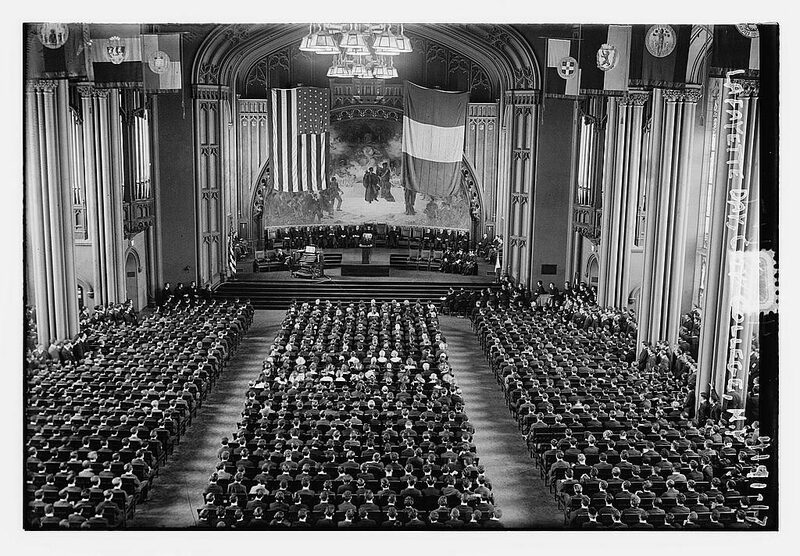 As the population continued to grow, legislation passed to create the Free Academy. Put to a popular referendum in June 1847, the measure passed with 19,305 votes for, and 3,409 against. By establishing free municipal higher education, the city signaled that it would support a dynamic and robust populace, recognizing that since its citizens were the engine of the city’s growth, the city should equip them with the skills, knowledge, and resources to strive, succeed and enrich their home. But could it be done? At the time, the city’s “free schools,” what we would now call public schools, only educated students through the eighth grade. There was no public high school system in the city. Students who wanted secondary education had to be able to afford private academies, then tuition at private colleges and universities. By contrast, the Free Academy required that matriculated students come from the city’s “common” schools. As a result, for most of the 19th century, students as young as 14 enrolled at City College. The Free Academy opened its doors January 21, 1849, on Lexington Avenue and 23rd Street, where Baruch College is today. The original academy building was designed by James Renwick, Jr. who would go on to design St. Patrick’s Cathedral. Because the Free Academy was the domain of “the whole people,” the original curriculum offered training in the classical languages that were then at the core of a traditional “gentleman’s education,” but also emphasized the study of math and science, and offered serious courses in the professional and practical arts, such as civil engineering, bookkeeping, short-hand and drawing. 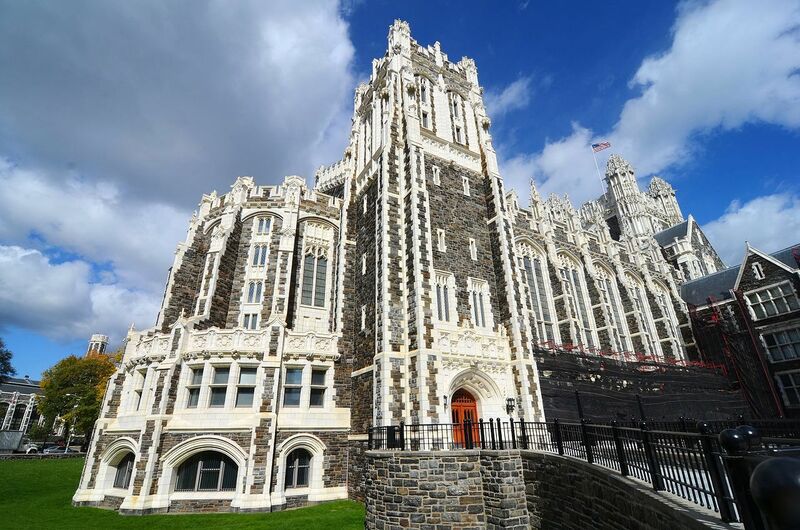 This focus on math, the hard sciences, and the applied fields has borne extraordinary fruit throughout City’s history: CCNY has graduated 10 Nobel Prize winners in Medicine, Economics, Chemistry, and Physics. 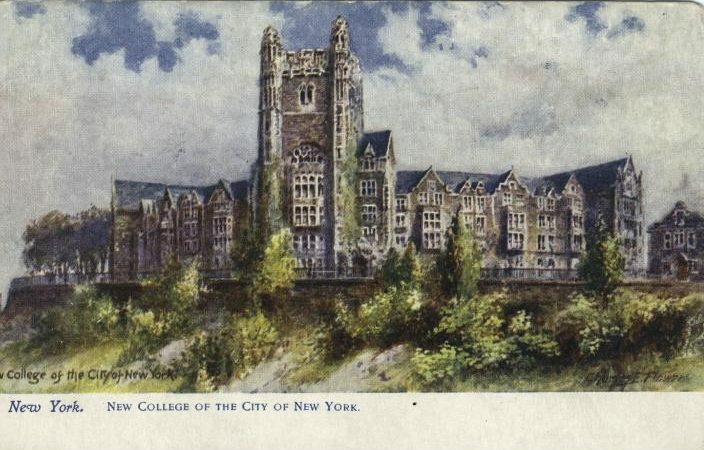 The Free Academy was officially renamed “College of the City of New York” in 1866. The following year, the Academic Senate, the first student government in the nation, was established. In 1870, The Normal College of the City of New York, which would later be named Hunter, after its first president, opened for women. It was the first publicly funded, tuition-free college for women in the United States. Hunter’s original mission was to prepare graduates for careers in teaching. To that end, the College granted licenses until 1888. Thereafter, it also granted degrees. Meanwhile, City, still a men’s institution, was rapidly expanding. In 1898, the Architect George B. Post, who had designed the Stock Exchange, and the New York Times Building on Park Row, was commissioned to design City’s new campus in St. Nicholas Heights area of Harlem. That campus, now landmarked, and added to the Register of Historic Places in 1985, opened in 1907. The following year, construction began on Hunter’s home at 68th Street and Lexington Avenue. That campus opened in 1912. In 1909, City expanded even further, in a way that showed its commitment to its working students: the college established the first degree-granting evening session in the country, that year, and within a decade, the evening session began admitting women. The early 20th century brought even more changes to City College. 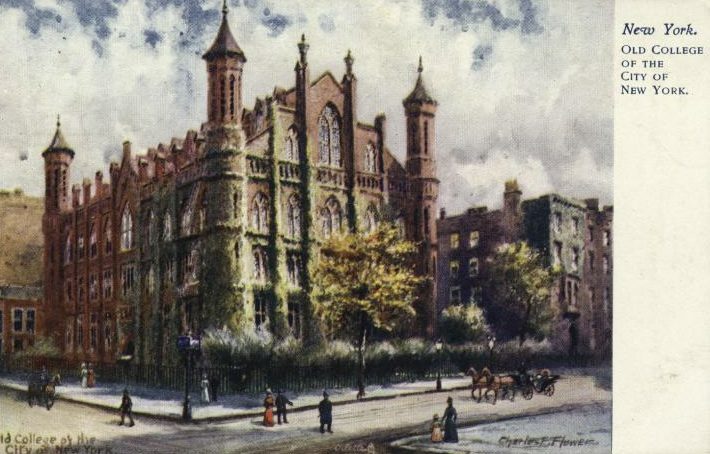 President Finley, who later went on to be New York State Education Commissioner, then the Associate Editor of the New York Times, abolished mandatory chapel attendance, recognizing that an increasingly diverse student body, including many Jewish students, was matriculating at the College. Many students came to City College from all walks of life because they had no other choices; seats at elite schools were not available. 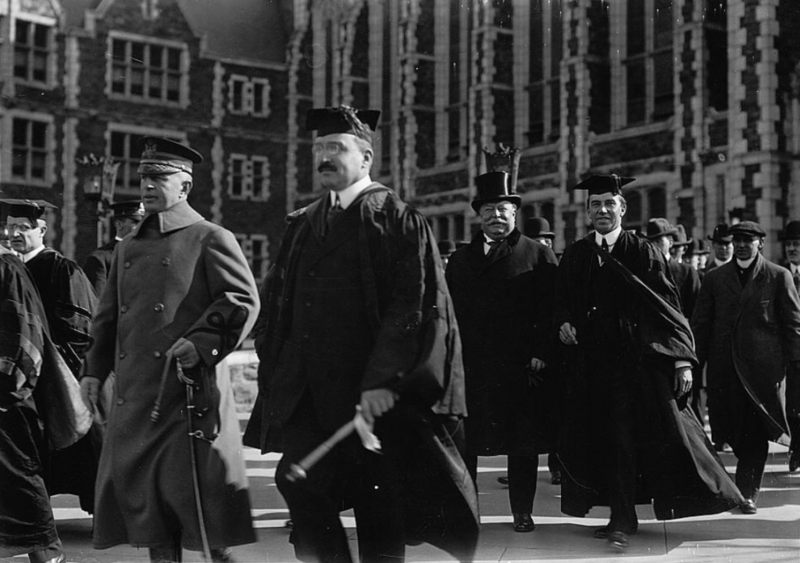 Following the First World War, the notion of “selective admissions” changed the way that Colleges and Universities defined prestige. Previously, universities measured their prestige by the number of well-qualified students they attracted. In the early 20th century, when a larger, and more diverse, pool of students began to seek admission to the nation’s prestigious universities, the concept of “selectivity” allowed colleges to define their prestige not by how many qualified students they attracted, but by how many they turned away. Under this practice, they could close ranks against the children of immigrants, African Americans, and others outside the purview of the Protestant establishment. In New York City, Columbia University turned its attention markedly to the elite. City College remained committed to educating “the whole people,” and then as now, served a student body made up of the children of immigrants and the working class. Accordingly, the hoi-poloi found an outlet for their brilliance at City College, and the sheer intellectual fecundity (and passionate student radicalism) on campus during the interwar years is the stuff of legend. By 1926, that educational opportunity, and intellectual ferment, had a place in Brooklyn, too, where both City and Hunter established campuses. The men’s and women’s colleges were combined into Brooklyn College in 1930. In 1944, City expanded its offering off campus, offering a low-cost program of short non-degree courses for the general public in arts and crafts, foreign languages, English language instruction, and business. These classes were held at NYPL branch libraries so that they could be offered throughout Manhattan, the Bronx, and Staten Island. Following the Second World War, City educated returning veterans, many of whom participated in the nation’s first student-led campus strike, which broke out in 1949. The students picketed against allegations of racism and anti-Semitism on campus and aimed particularly at desegregating Army Hall, a dormitory for veterans, which economics professor William C. Davis, had organized according to Jim Crow. 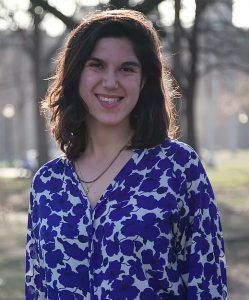 At the same time, the engineer Cecile Froehlich became the first female instructor at City’s School of Technology. She became the first woman to achieve the rank of full professor in electrical engineering at City and stands out nationwide as the first woman to head an engineering department anywhere in the country. Many more women followed her, both as students and faculty. In 1951, women, who had been granted admission to graduate studies at City College in 1930, were accepted as students throughout the whole institution. A decade later, on April 11th, 1961, the City University of New York was established, with CCNY as its flagship. Student organization and protest in the late 60s moved CUNY to guarantee admission to the top 100 graduates from each of 60 New York City public high schools. In 1970, all NYC high school grads were offered a place within the CUNY network of four-year schools and community colleges; those who graduated from high school with an 80 average and in the top 50 percent of their class were guaranteed a place at a 4-year college. In 1976, due to New York’s fiscal crisis, CUNY began charging admission for the first time in its history. But, in the 21st century, CUNY established an honors program, granting free tuition to honors students. City College alumni have consistently gone on to move the world, in fields as diverse as law and physics, Civil Rights and popular music, politics, and philosophy. Among them are: A. Philip Randolph, Ira Gershwin, Felix Frankfurter, Colin Powell, Adam Clayton Powell, Jonas Salk, Alfred Stieglitz, Henry Morgenthau, Stephen Wise, Stanley Kubrick, Audre Lorde, Bernard Malamud, and Upton Sinclair. Their contributions to the world have been extraordinary, as have those of thousands of other alumni, reminding us that when education is available to “the whole people” we all benefit a whole lot.